Manta Resort lies on the remote northwestern tip of Pemba Island, on a fabulous white beach overlooking the crystal clear waters of the Pemba Channel. 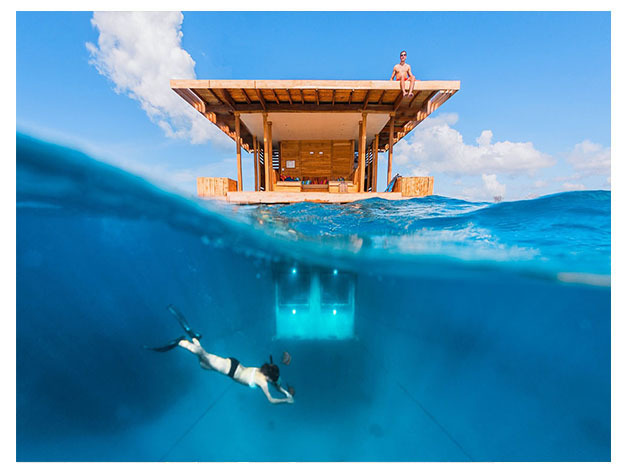 Romantic and very relaxing, Manta Resort has one of the best swimming beaches in the whole Zanzibar Archipelago, and the diving is world class. Imagine yourself encapsulated within a turquoise blue bubble, watching shoals of reef fish swimming lazily by - sometimes in three or four layers of different species above the reef floor. 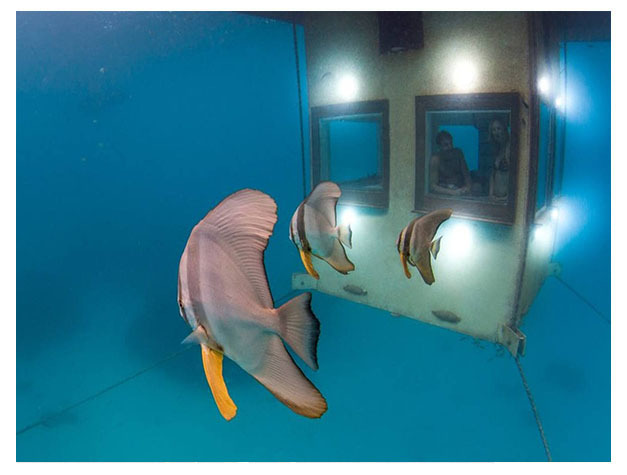 This is the heart-stopping experience that awaits you in the underwater room! The floating structure, Swedish engineered, provides three levels - those above the water clad in local hardwood, and each an experience in itself. The landing deck, at sea level, has a lounge area and bathroom facility. A ladder leads up to the roof which has a lounging area - for sun worshipping by day - and by night you can lie back in the starlight and wonder at the extraordinary clarity of the stars and planets - all seen without any light pollution. Sleep under the stars to the soft murmuring of the sea. Manta Resort continually seeks to support the conservation of all wildlife on Pemba. The lodge strives to have as little impact on the environment and community as possible. They are involved in several programs to preserve Pemba wildlife and make life easier for the Pembian hosts, helping them with educational programs, healthcare, fresh water pumps and employment opportunities.